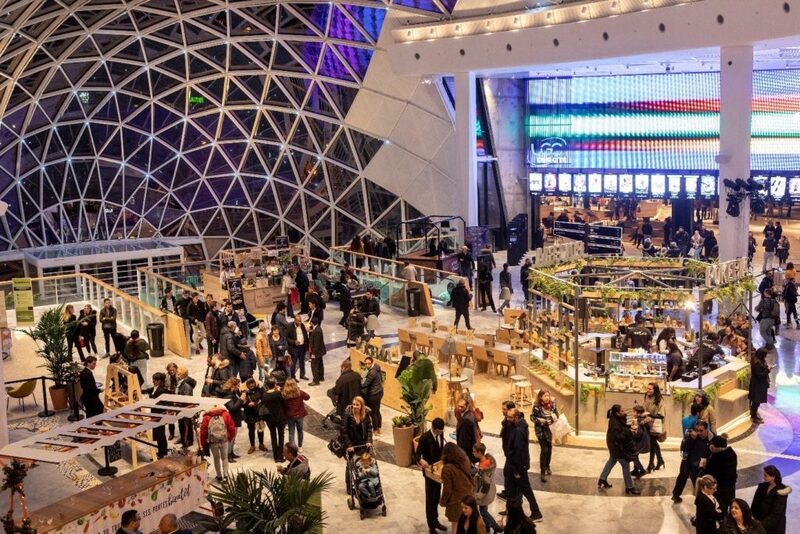 On March 20th, Unibail-Rodamco-Westfield opened a new chapter for the iconic shopping centre west of Paris, Vélizy 2, with the unveiling of its new Dining Experience, which includes the first omnichannel platform for food delivery in a shopping centre in Europe, a project led by URW Lab. After two years of construction works, a new exciting space dedicated to dining, leisure and an enhanced experience was inaugurated at Vélizy 2 a few weeks ago. The extension of the shopping centre houses a brand new cinema complex, UGC Ciné Cité, and a virtual reality arcade, “Mind Out”, under an impressive glass sphere that lights up at night. The extension also showcases a new dining space “Les Tables de Vélizy” which features 23 food offerings, including 15 new restaurants and 8 kiosks. For this new dining plaza, URW Lab has been leading an innovative project to create the first omnichannel platform for food delivery in a shopping centre in Europe. At the cutting edge of culinary trends, this innovative dining area meets all consumption modes, thanks to partnerships with the two leading food delivery platforms Uber Eats and Deliveroo. With easy access for food delivery services, improved signage and better communication, Vélizy 2 is able to offer this new food experience. Last, by defining joint marketing and communication plans. Both in situ and digital actions are being activated to reach visitors and communities around Vélizy 2. We are thrilled to collaborate with Unibail-Rodamco-Westfield for the first time to offer an optimal experience to riders and restaurants at Vélizy 2. Innovation and user experience are at the heart of Uber Eats’ DNA and we will keep working towards that direction with the Group, in Vélizy 2 and in others shopping centres of the Group. URW Lab has made these partnerships with Deliveroo and Uber Eats and the development of this new service possible, which answer one of URW Lab’s 7 innovation priorities “generate more value from every sqm by merging online & offline logistics operations to meet omnichannel standards”. At URW Lab, we create the future of retail, and it will be omnichannel. So we are proud to have opened this first innovative concept at Vélizy 2, and it will be followed by other assets of the Group. In line with the Group’s CSR strategy, URW Lab has also made “Les Tables de Vélizy” take a stand for sustainable development by partnering with the start-up Too Good To Go – currently being rolled out in all French shopping centres of the Group – that fights against food waste. 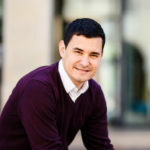 Previous post #Start-ups: TROOV, the digital solution to find your lost items at 4 Temps and CNIT shopping centres!